« Why IAF is advocating HAL being broken up into smaller companies ? The Vision: 2030, an apparent Road map to build a 40 Squadrons Capable Indian Air Force with various Net Centric Warfare Platforms. Leaving all the mistakes in the past, now the time has come for IAF to work on this road map to field a contingent of 800 Modern Fighter planes by 2030. In a country like India, it takes 30 years to build an indigenous fighter jet while 5 years to procure a Foreign fighter. Therefore, inducting a total 300 fighters in the next 10 years would a big challenge for IAF. But it is not impossible. So, let me go through the Current Scenarios & Deficiencies need to be copious by 2030 so that IAF can fight a Two-front war. 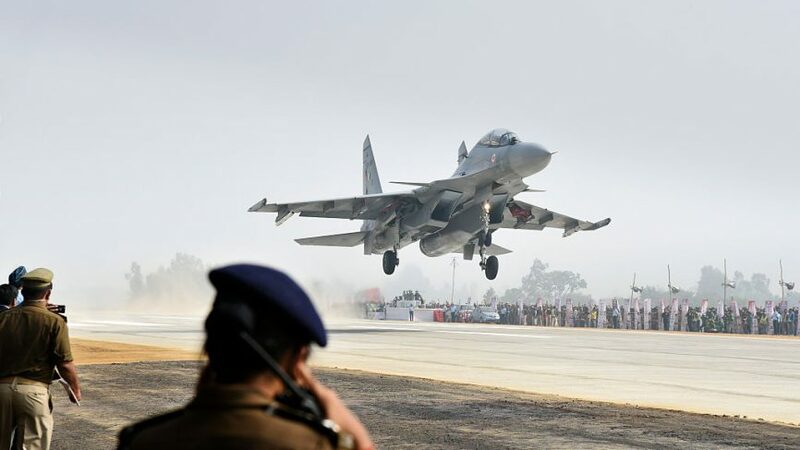 IAF has 280 Su-30MKI, 80 Mig-29UPG, 51 Mirage-2000H while 36 Rafale by 2023 & summing it as the availability of only modern 447 fighters by 2030 except Jaguar & Tejas. 300+ Mig-21 & Mig-27ML are being phased out by Sq-wise. 140+ Jaguar are facing delays in DARIN III up gradation programme due to Price hike in engine procurement. Tejas production suffering from HAL’s Monopoly & cupidity to get 90 Rafale Order under MMRCA. Nobody knows when AMCA will be a reality. Dark clouds over FGFA or any 5th gen fighter emergency purchases. IAF should be serious about maintaining a good numbers of fighters by 2030 as Indian Navy to have a dedicated fleet of 200 Ships &Army mostly have modernised its IBGs to face the Pork & Jihadi military by that time. By 2030, IAF needs to field 353 (approx. 350) fighters to reach the 800 mark. The Current MMRCA tender of 110 fighters is not enough for a balanced Airforce strength &it would be difficult if we did not acquire the adequate numbers of Medium weight fighters. Therefore, IAF has to convince Govt. to order 36 follow-on Rafale under first tender citing the Tejas slow production as well as depletion of Squadron strength & 110 Rafale under MMRCA deal as TOT deals take much time to sign compared to Gov-TO-Gov Deal.If these two deals signed, then IAF would be able to field around 150 Rafale by 2030. The faster delivery is expected with 100 French birds (36+36+28)& Dasault won’t hesitate to double its production line by 2025 to deliver most of the jets, which are under flyaway condition. IAF has to work with HAL in tandem if they are genuinely interested in Tejas. Otherwise, Forget these Timelines.I am not guessing anything more. But HAL needs to get over from the Congressi mind-set like CHALTA HAI ATTITUDE, as that era is gone. It also needs to stop manipulating stories to gain political mileage. By the way, IAF is angry on HAL due to their Employees’ redundant behavior over Rafale Deal. It is true that The Revised DPP has already curtailed the role of HAL getting any big tickets as GOI is working on a plan to boost the private sectors for meeting the military needs. If Tejas-Mk2 fighter steps up by 2025, thereby you could expect India fielding two squadrons of MWF by 2030. 133 light weight jets are expected by 2030 if HAL follows such road map. I don’t see any alternative. However, India has to acquire any type of5th gen fighter during that time. That’s why, I looked at Russians. PLAAF planned to station 250 J-20 by 2030. Therefore, we needs to show the world that YES;at least we have the 5th gen jet. Various media reports suggest that FGFA is also getting new engines, EW suites by 2020. So, it would have been completely different platform after the next 5 years. China is also showing interest in FGFA. If India buys FGFA & integrate it with the RAFALE F4R & ISRAELI features, then it can kill two birds with one stone by stopping china to buy it on one hand while making it more deadly on other hand. French will not oppose this concept as they already have won 182 MMRCA tender & have desired to cooperate in AMCA programme by that time. Russians are also looking for orders, as they are delivering all 10 S-400 BATTERIES in just 5 years, it will be no surprise if they deliver 54 fighters in just 6 years.